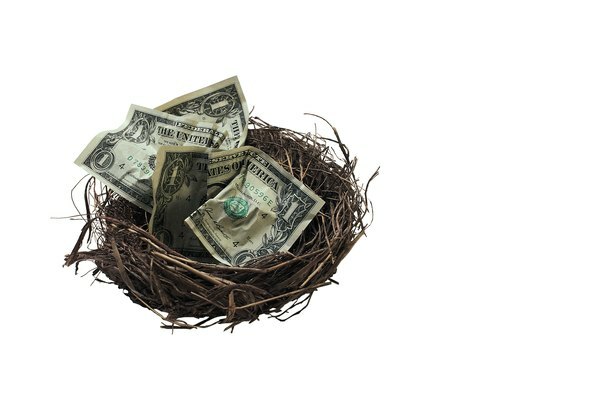 Annuities and IRAs offer different ways to help build a nest egg. 3. What Is the Difference Between Fixed Annuity & Fixed Index Annuity? Annuities and traditional individual retirement accounts both offer tax advantages to help investors save for retirement. However, these two types of accounts have more differences than similarities. Which one is more appropriate for helping you meet your retirement goals can depend on a number of factors, including your current and future tax brackets and your specific investment objectives. Understanding the key differences between IRAs and annuities is the first step in making an informed decision. Contributions to traditional IRAs are typically tax-deductible, unless you or your spouse are covered by an employer's retirement plan and you exceed certain income levels. Annuities grant no such deduction, as they're funded by after-tax contributions. The exception to this rule is a tax-sheltered annuity, which is a retirement plan similar to a 401(k) offered by certain nonprofit organizations. This can be a key difference between an annuity and an IRA. Both annuities and IRAs offer tax-deferral on any earnings until the money is withdrawn. For traditional IRAs, all distributions are taxable as ordinary income. With annuities, you'll owe taxes on any earnings you withdraw, but your original contributions come out tax-free. The IRS also imposes a 10 percent early withdrawal penalty on any withdrawals from an IRA before age 59 1/2, except in limited cases. With annuities, the same penalty applies to any earnings you take out before 59 1/2. Annuities are divided into two broad types, fixed and variable. A fixed annuity operates somewhat like a bond or certificate of deposit, in that you're paid a fixed rate of interest for the term of the annuity. With a variable annuity, you can invest in a wide range of "sub-accounts" that are similar to mutual funds. You can allocate your money across any of the types of sub-accounts within the annuity. An IRA is an account that lets you choose nearly any type of investment that you could put into a regular, taxable account. For example, you could buy individual stocks, bonds, mutual funds, exchange-traded funds or even annuities. An individual retirement annuity is effectively an annuity with the tax structure of an IRA. The IRS does impose some limited restrictions on IRA investments, including collectibles. The financial services firm that holds your IRA, known as your custodian, may charge a small annual fee to help cover the costs of tax reporting and various other required services. Beyond that, IRAs usually doesn't come with any added fees. You may have to pay additional expenses if you hire a portfolio manager to run your account, and you'll usually have to pay commissions on any investments that you buy or sell on your own. Since annuities are issued by insurance companies, there is typically an insurance component involved that carries an additional fee known as the mortality and expense charge. Annuities also typically have surrender charges, which kick in if you sell the annuity within the first few years after purchase. Depending on the investments you choose in your annuity, you may also owe investment management fees. The IRS will require you to start taking money out of your IRA after you turn age 70 1/2. The IRS calculates the amount of the minimum required distribution based on your life expectancy and the value of your account. If you don't take out the required minimum, you'll face a 50 percent penalty. One of the advantages that annuities have over IRAs is they don't have a minimum distribution requirement. You can keep money in your annuity as long as you want, no matter what your age. With tax rates generally lowering in 2018, the tax deduction benefits of an IRA will be fewer for many people, since their tax rates will be lower. With tax rates higher in 2017, each dollar of IRA contribution generally results in bigger tax deferrals. Vanguard: What Is an Annuity? What Are the Pros & Cons of Annuities and Retirement Plans?